The Uco Valley is a valley that lies north of the Tunuyán River and part of the departments of Tunuyán, Tupungato and San Carlos, in the province of Mendoza, Argentina. It has a total area of ? ?17370 km2. The valley has altitudes ranging between 900 and 1200 m, and is surrounded by the high peaks of the Andes. It is a very fertile area, with no heavy rainfall and almost daily frosts in the months of June, July and August. It is an ideal to be visited thanks to the diversity of activities that can be made passage: adventure, religious, cultural, rural tourism, contact with nature and the Wine Route. The Uco Valley is also an important wine region, even considered as one of the best in all Argentina. The average temperature is 14 ° C, with a temperature range between day and night. 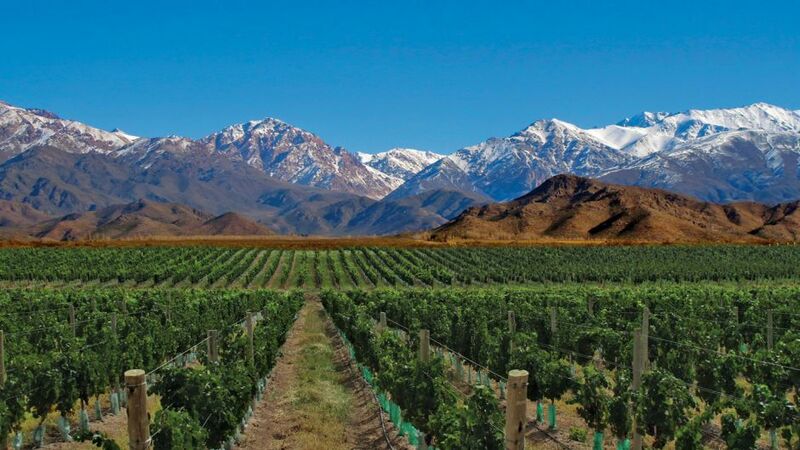 The combination of the high altitude, alluvial soils, irrigation, more than 250 sunny days a year, little rain and temperature range favors the cultivation of vines. These climatic and geographic features provide excellent ripeness and concentration of fruit, providing deep color, intense aromas, pleasant flavors and textures important. They are important worldwide productions of sparkling wines (some of them bear the designation of origin 'Champagne' as they are produced by the same French companies). After installation of numerous wineries in the region, tourism has developed increasingly harder, especially wine tourism in the resorts of these wineries.